This essay has recently been submitted by SCCA as a “Letter to the Editor” to newspapers throughout the state on behalf of our member Len McIrvin. His letter highlights the tremendous loss ranchers in Northeast Washington are facing due to out of control wolf populations. A mother cow stands near her dead calf in a grazing area in Stevens County. This sight has become increasingly common in Northeast Washington that now has at least 15 wolf packs. As I looked at the calf’s ripped and torn, blood-soaked body; with her shoulder ripped from it’s joint, her hindquarters and her back and upper leg deeply punctured and lacerated with dozens of wolf bites – I had to ask myself, “Why?” Why is this becoming a common place event for cattlemen and sheepmen all over the West as they see their herds ravaged by wolves? The mother cow mournfully bellows to her unmoving, fatally wounded calf. Her udder is swollen with milk but is never again to be suckled by her baby. Showing her love and concern, the mother cow stands watch over her calf all day long; refusing to leave the area where it was attacked by wolves. Her grief-stricken cries haunt me as she continues to call to her dying baby. Once again I ask myself “Why?” Why this terrible waste to satisfy the desire of a few people who just hope to hear a wolf howl? I couldn’t help but think “Why” once again as the Fish and Wildlife Officer asked my grandson if he could dispatch the victim, stating that he would then transport the body to the dump. What a waste of a healthy, young calf to end up in that place where she will rot or be eaten by scavengers. I looked again at those dark, pain filled, and pleading eyes of the calf as my grandson compassionately placed the Merciful Bullet between them. Even though this is an experience I have lived through over 100 times, I still cannot accept this merciless killing of our herd by wolves. Wolves kill whatever they want to kill, but death by wolves is slow, and horrible, and a long time coming. In the case of this calf, she could have lived for days, or lived until the wolves came back and started eating her alive. With tears in my eyes, I am asking all the good friends, neighbors, and citizens in our area, state, and nation for help in ending this situation. God has said He put man on earth to have dominion over the animals. For those of you who believe there is a Lord, you must assume this responsibility and demand that this terrible carnage ends and that our predators are managed to the point that our herds and flocks, our pets, and our wonderful herds of game animals can survive. The second factor is starvation. The starvation factor kicks in at the point when there is no food source available. At this point, they become cannibalistic and start eating each other, thereby controlling their own population. The third factor and the most viable and effective population control of wolves is man; but in today’s political correctness, man has been taken out of the equation. This is the scenario we are facing today. As a cattleman who has been involved with cattle all my life-nearly 3/4 of a century, I am asking for your help as we deal with the consequences of an exploding wolf population. Local control is the only answer. Let’s do everything possible to assure that each County Sherriff has complete control and is totally in charge of all the wolf predation that affects his citizens and their property. The Stevens County Cattlemen’s Association (SCCA) is working to prepare their members for another difficult summer grazing season, as the Washington Department of Fish and Wildlife (WDFW) recently announced wolf populations grew by 28 percent in 2016. The department now estimates that there are at least 20 known packs and 10 breeding pairs in the state. 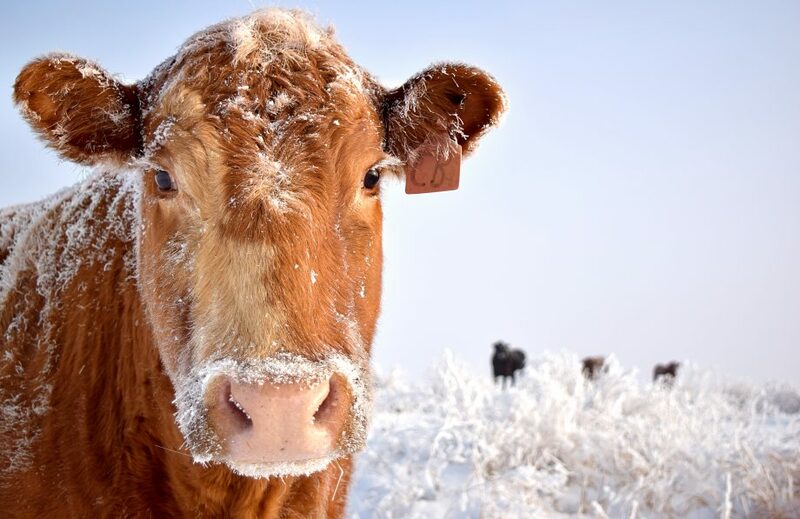 Since the 28 percent increase is occurring primarily in northeast Washington, those cattle and livestock producers who were already having problems with the wolves anticipate their struggle will grow. Since wolves started regularly attacking cattle in Stevens County in 2011, the wolf attacks have peaked every summer when cattle are out on grazing lands, culminating in lost calves and cows. In addition, sheep have been killed, guard dogs and domestic dogs have been attacked. Wolves have also become so prolific in some areas that ranchers are unable to return to their summer grazing lands in areas like Chewelah because the wolves harass and attack the cattle, making management of the cattle difficult. In response, WDFW has continued to consult the Wolf Advisory Group, an environmentalist-heavy panel of volunteers, to determine how to address the issue and decide when problem wolves need removed. WDFW has also pushed a variety of management methods deemed “non-lethal deterrents” that have yet to prevent wolf kills. “What we know about their ‘non-lethal’ methods is that they only delay the killing and are not applicable to many situations,” said Nielsen. WDFW’S “Range Rider” program, for instance, only authorizes department-paid volunteers to look for dead cattle, but the riders are not authorized to stop or prevent wolf kills in any way. “It’s ironic that this program gets so much attention because ranches have had ‘range riders’ for a long time—they are called cowboys—but our cowboys have the job of taking care of the cattle. The state sponsored range riders don’t maintain fence, they can’t doctor sick animals, they don’t help with any of the ranch management. Instead, they just look for things wolves have killed. It would be better to call them range coroners,” said SCCA President Justin Hedrick. SCCA said it will continue to advocate for its members on the wolf issue and provide support to affected operations whenever possible.